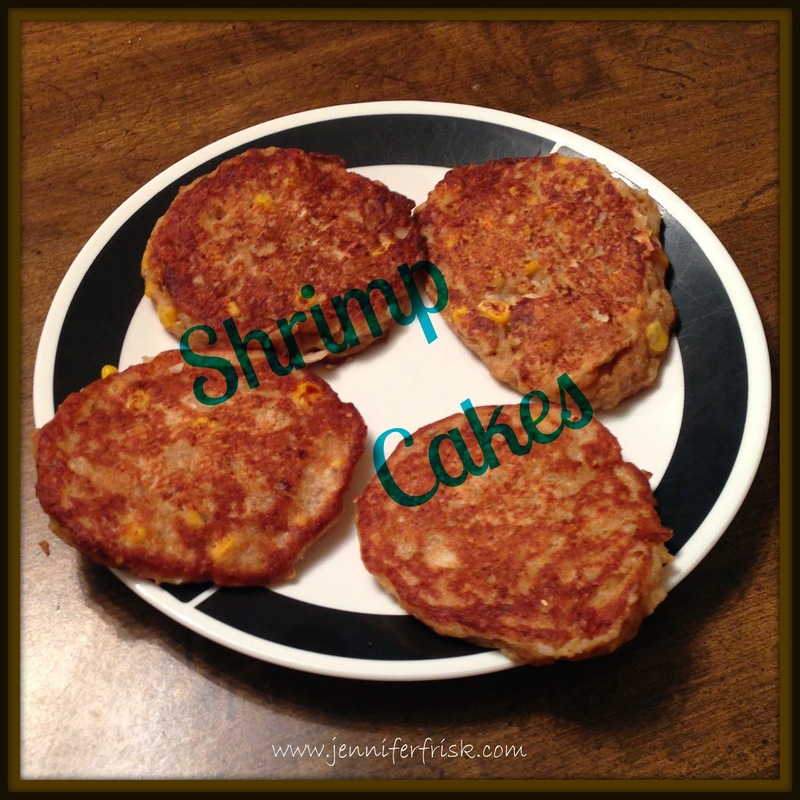 You've probably had crab cakes, but have you ever tried the easier, less expensive shrimp cakes? If not, you really should! These took me no time at all to make the whole batch, and they taste amazing. I bet they'd be even better with some homemade tropical salsa! Whisk milk and vinegar together and let sit for at least 5 minutes. Chop shrimp. I used my Ninja blender, but you could use a food processor or even chop them by hand. I just tend to be lazy that way. Whisk the eggs, salt, baking soda, and Old Bay into the milk mixture. Add flour and combine well. Add coconut. Mix in shrimp and corn until batter is thoroughly incorporated. Heat skillet over high heat until droplets of water sizzle when dropped in. Drop batter into skillet in 1/3 cup increments. Cook for 3-6 minutes on each side until cakes are brown and cooked through. I got 14 cakes from one batch - plenty for lunch for the next few days!